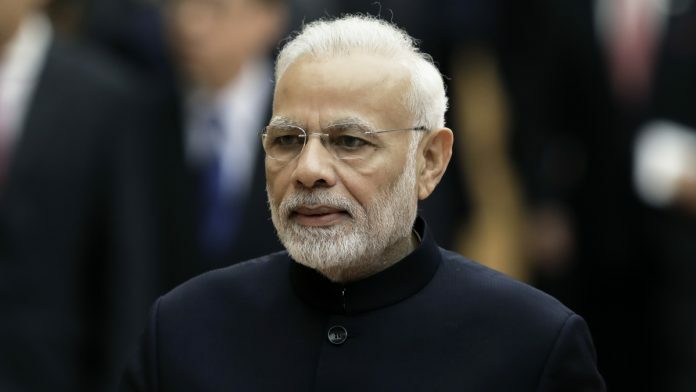 Make no mistake, the 2019 Lok Sabha elections are just about Narendra Modi – not BJP, not the Sangh Parivar, not even the five years of (mis)governance. The key theme of the BJP seems to be – Narendra Modi versus anarchy. And the party is aggressively pushing for it. Five years ago, we were told that India’s new neighbourhood-friendly approach under Modi will shape the foreign policy. So, the heads of neighbouring states gathered to welcome the arrival of Narendra Modi as the prime minister. Indeed, just a few days before the IAF air strikes on Balakot, economy expert Swaminathan S. Anklesaria Aiyar had written in his column that Modi should “Stick to political theatre, it is safer than risking war with Pak”. Aiyar had further written that the 2016 surgical strikes were more successful in the media and social media than on the ground. In a few days from now, the election frenzy will hit the roof and TV media will go berserk. Narendra Modi will be omnipresent and omnipotent. Rahul Gandhi will counter, without the help or support of the media. Priyanka Gandhi will join him in the stereophonic campaign. But ultimately, the only issue will be Narendra Modi. The Sangh is feeling isolated and marginalised. Modi cleverly keeps Hindutva and cows out because he knows the world media will not be sympathetic to him if he takes up these subjects. The global press pooh-poohed even the air strikes on Pakistan. He knows that the international media cannot be brought into his embedded network. I wonder why Kumar writes the same ideas in different articles. The moment you see his article, you know its content like -It is Modi who utterly failed to keep his promises, is cause of all the current problems and he failed miserably to provide solutions to any of them. Further, Modi is the evil incarnate and even BJP and RSS think likewise. Of course, thankfully, he does not specifically assert that Congress and UPA was and is the best for the country. Utterly nonsensical article and sorry to say, an idiotic man. The media is working as a force multiplier. The results will show us how far the effort has succeeded. Ties with Maldives have improved, and are normal now with the ouster of the dictator, if you are not updated with it. It was strategically and morally right for India to stay away from that Chinese puppet and fundamentalist autocrat. Or do you support such type of governance? Also, China blocked UNSC listing of Azhar during MMS era as well, to refresh your memory. And if you think RG has no media support I can suggest you a pretty long list of print and electronic sources to watch/read and enjoy as they eulogize the “prince” and bash the “saffronites” in pursuit of neutral journalism. The moment you see the name of the writer, it is already time to move on to something else. He is so predictably and contemptuously disposed against Modi and the BJP that it is a sheer waste of time reading whatever he writes, because you can easily second guess him. He never says anything new and never comes up with a different perspective about the current political scene. But then, anyone offered a Rajya Sabha seat on a plate can be expected to be as thankful to his Donors. Look at Manmohan Singh ! This election seems to be a replica of 1971 when Mrs Indira Gandhi stormed home to the victory by defeating Grand Alliance. However, at that time Left/liberal barring the CPM preferred to hail Mrs Gandhi as such a move helped them to share power, denied to them since independence. Perception is not a new phenomenon. Every election was contested on perceptions. It is heartening that the ace commentator Kumar Ketkar remains honest in his political assessment despite his accommodation in the Rajya Sabha by the Congress, a dream of journalists in the country. but the line” He is a Congress member of the Rajya Sabha” is missing from this post.